We’d love your help. 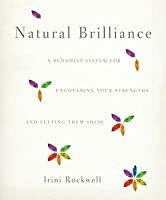 Let us know what’s wrong with this preview of Natural Brilliance by Irini Rockwell. To ask other readers questions about Natural Brilliance, please sign up. Initial reaction: It probably didn't help much that the whole time I read this book, I felt disconnected with the overarching point that the author was making in the work because of the lack of organization and connection with the material in a meaningful way. I didn't care for it that much. Short and sweet review for what was a quick read for me, even when it really wasn't a quick read overall. I think my eyes glossed over while reading this; it didn't really do a good job of expandi Initial reaction: It probably didn't help much that the whole time I read this book, I felt disconnected with the overarching point that the author was making in the work because of the lack of organization and connection with the material in a meaningful way. I didn't care for it that much. Short and sweet review for what was a quick read for me, even when it really wasn't a quick read overall. I think my eyes glossed over while reading this; it didn't really do a good job of expanding on its respective subject matter or immersing me in the text: I read it in full, but it was a very dull read. So I figure the author would go into these principles and expand upon them in a meaningful way according to that format, but to my chagrin, he starts off talking about the first Wisdom and then jumps to another topic and meanders from there. While the narrative gives case studies and questions to interact with the reader, I was throroughly lost and disconnected from the text and its overarching point. The organization left much to be desired, the terminology felt vague at best, and I didn't really gain much meaning from the narrative - not as much as it could've been. I did like some of the quotations on meditation practices and expansions, but that was about it, and certainly anyone who may be new to meditation or the concepts presented in this text on Buddhist ideologies would feel overwhelmed and confused because it doesn't sync the information in a way that's easy to follow. There's no flow between topics and it seems to jump from one concept to the next without a smooth transition. In the end, I was rather disappointed with it. Utilizing the traditional Buddhist five wisdoms--presence, clarity, richness, passion, and action, Rockwell seeks to show readers their own personal strengths and possible weaknesses. Rockwell then seeks to demonstrate how to bring out the other three to four wisdoms within your personality to achieve more balance. This book though was nearly impossible to follow. Quite possibly the worst book on Buddhism I've ever come across. First, there's how Rockwell talks about the five wisdoms. Instead of c Utilizing the traditional Buddhist five wisdoms--presence, clarity, richness, passion, and action, Rockwell seeks to show readers their own personal strengths and possible weaknesses. Rockwell then seeks to demonstrate how to bring out the other three to four wisdoms within your personality to achieve more balance. First, there's how Rockwell talks about the five wisdoms. Instead of consistently calling them by either their English name, Sanskrit name, or a hyphenated version of the two like most Buddhist works do, Rockwell bafflingly switches back and forth between English and Sanskrit without any rhyme or reason. Similarly, random information is inserted but then not fully explained. Finally, I didn't really learn anything of value from the book. Rockwell talks at length about what a person who is mostly possessing the wisdom of passion might look, behave, and even dress like, but not much is discussed about how to put this knowledge to good use. Overall, I found this book to offer very little in a way of self-improvement or aid in dealing with people. It is confusingly organized without much valuable information within it. Although it is a readable book that is not at all offensive, it just doesn't seem like reading it is worth the time. Check out my full review. (Link will be live on March 12, 2012). 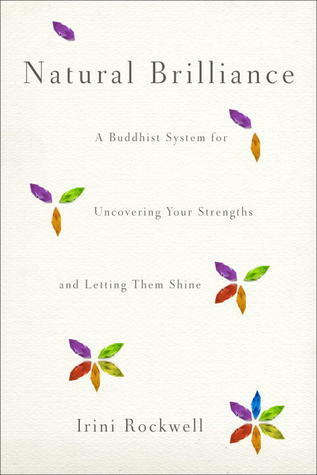 I usually am very interested by books on Buddhism but this was probably the most confusing one I had ever come across. I didn't like it at all and it was very hard finishing it. Di solito i libri sul buddismo mi piacciono molto, ma questo è probabilmente il più confuso e mal scritto che mi sia capitato di leggere. Non mi è piaciuto e ho fatto molta fatica a finirlo. I agree with the 2 other readers who wrote reviews about the confusing nature of this book. I really wonder about the authors background and training in Buddhism. Morever, she is doesn't write clearly or consistantly. Taken together it makes for a book that offers very little in either Buddhist practice or self development. Either of these topics, taken alone or together, have been done much better in so many other texts. Very disjointed, but I did find a few interesting things to think about.